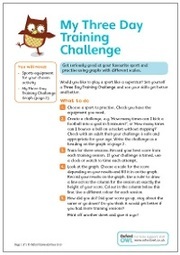 Have fun practising your maths skills with these games and activity sheets. It’s present time! Link the wrapped present to what’s inside by matching the shapes. Look at the picture and find all the hidden shapes. Help each of the three bears find their things. Match each bear to their objects. Link all the muddled-up shoes to make pairs. Look at the pictures and drag and drop them into the right order. Practise adding number bonds by dragging and dropping the numbers to make correct number sentences. Practise subtraction number bonds by dragging and dropping the numbers to make correct number sentences. 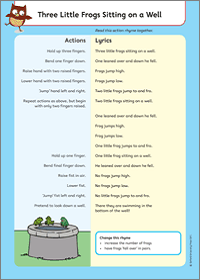 Sing this fun action rhyme together. Compare height using the vocabulary of taller and shorter. Roll two dice and add them together. Practise time and measuring with this delicious recipe. Practise your addition skills with this fun game. 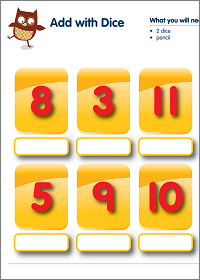 Practise your subtraction skills with this fun game. 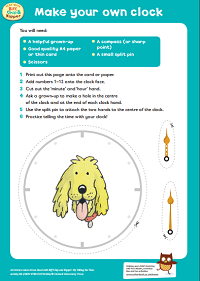 A fun activity to create your own clock. Draw the clock hands in the right place. Wall charts for all times tables from 1–12. 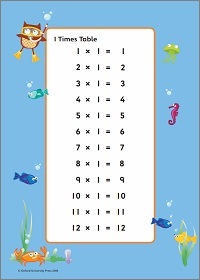 Print out and stick up the times tables your child finds most difficult. Get seriously good at your favourite sport and practise using graphs with different scales. Get to grips with place value while playing this fun, fast-moving game. 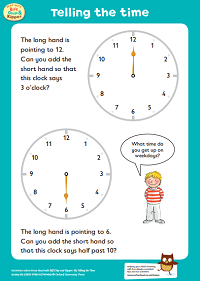 Help your child practise a maths skill with a quick-fire game of one minute brain teasers. Practise using tables and adding amounts of time with this weekly training plan. Earn a great treat while you practise using graphs and scales. 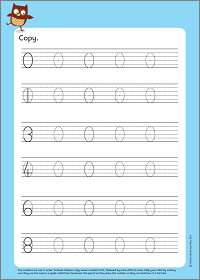 Have fun with this matching game and practise finding equivalent fractions. Practise finding fractions of amounts with this fun game. Are you a budding poet or singer? Make up a silly poem or song to help you remember a maths fact. 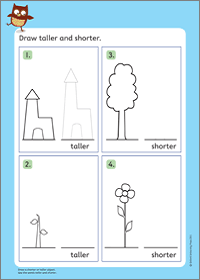 Practise naming 3D shapes with these great quick-fire games. Practise naming 2D shapes with these great quick-fire games. Use ratios to make some salt dough, then get creative! Make and fly your own paper aeroplane whilst practising measuring, converting measurements and finding averages. Keep track of your money whilst practising adding and subtracting decimals. Match common fractions, decimals and percentages with this exciting treasure hunt. Use coordinates to find your opponent’s buried treasure before they find yours! Practise adding decimals with an energetic game of skittles. Make your own celebration bunting whilst practising using angles and drawing triangles. Build a pellet-shooting junk robot and practise using averages, decimals and data.